Ensuring that your property is in perfect condition is a noble thing, not just a winter preparation exercise. The value of your property is dependent on the level of care and property maintenance you attach to it. Utility bills for your tenants depend on how well your systems are working. During winter, you should keep certain things functional. We will discuss all the things you should do to let your tenants enjoy their winter months. People say it is not fun to clean gutters. The debris can range from harmless leaves to bird poo. When cleaning this area, ensure that you have the right tools. While at it, be careful not to compromise the flow. Gutters should slide slightly towards the downspouts. This video can help you learn how to do it professionally. Also, collect the debris and dispose of it properly. Ensure that the gutters and downspouts are free from any debris. The water should flow unimpeded. If winter precipitation finds clogged drains, the damage on your property could be significant. Any water in this area can easily reach the fascia or any other wooden material. Such water will cause rot and mildew. Focus specifically on the heating system during this time. Whether you use the boiler or furnace, ensure that the whole system is in pristine condition. Clean the ducts and vents to remove any signs of debris. Ensure that the chimney, too, is clear. Replace old filters and tune up thermostats. Check the ignition system. On the overall, ensure that all movable parts are sufficiently oiled and fastened. You can do furnace tune-up on your own. However, you will need a professional inspection and tune-up occasionally. Most property management companies include HVAC tune-ups in their services. Heating is an energy-sapping function. Efficient systems rely on proper insulation. Cracks on walls, drafts, holes, and gaps on windows and doors, and other air vents can compromise your insulation. Check for missing glazing and putty, loose windowpanes, and missing caulk. The windows should close tightly without leaving any spaces. Check for spaces and gaps in the doors, too. You should also check the overall heating system insulation including the vents and duct-work. Slight to heavy precipitation is normal during winter. A leaking roof can cause you nightmares if it goes unchecked. 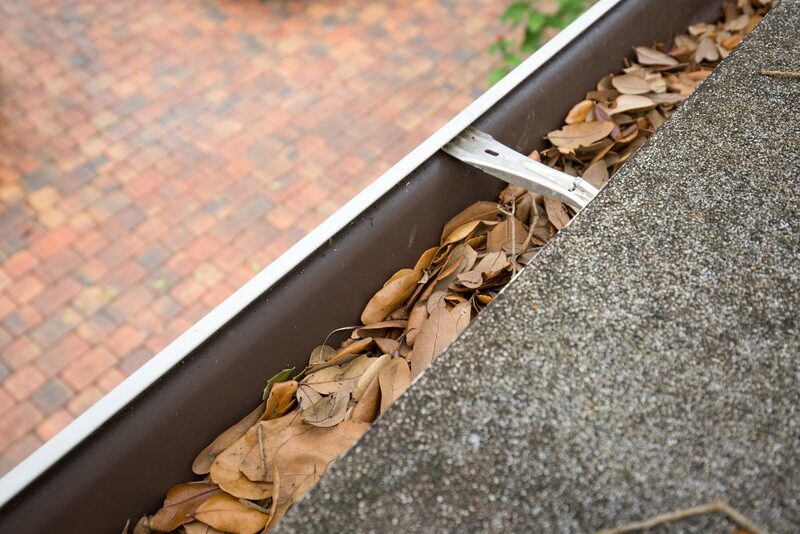 While checking your gutters, check for any missing or damaged shingles. Heavily corroded, warping or loose shingles can give in in the face of the slightest precipitation. Check for cracks, too. If you have not inspected the attic and crawl spaces, this is the time to do that. Do so during the day when the sun is out. You have some repairs to do if you spot any illumination when inside the attic. A leaking roof can cause mold damage. It can also cause rotting of the roofing material especially wood. Tree trimming and removal is a continuous process and part of the property maintenance schedule. Trees that are close to the house need maintenance to prevent any form of damage. Any tree that is showing signs of decay, disease or death should not be near your home. It can easily fall on your property. Winter weather can bring winds that can cause branches and twigs to fall on your roof. To be safe, keep everything trim and maintained. Dust, mold, boron, carbon monoxide and such things can easily destroy the quality of air in your home. Some houses have an asbestos risk, too. With dust, you can do a thorough cleaning of your property. Proper cleaning eliminates dust mites and animal dander. Mold management relies heavily on prevention. If you ensure that your property remains in pristine conditions, you will not need to worry about mold. Maintain the HVAC system to reduce the risk of smoke and carbon monoxide poisoning. If you seal off all cracks on the walls and the floor, boron will stay away. Everything revolves around regular property maintenance. Inspection and tune-ups for every part of your property are crucial. Since you cannot maintain everything at once, keep a schedule of things that you will maintain. Some things such as HVAC systems require annual inspections, others such as roofs require 3-5 years. For example, if you inspect the roof, you have three years before doing that again. Therefore, you are going to schedule the next inspection three years from now, preferably in fall. If you can’t keep up with the demands of property management, especially if you have multiple rental properties, you can hire a professional property management company. The benefits far outweigh the costs. Winter is a time that reminds you that some parts of your property are vulnerable. Keep precipitation out by ensuring that the roof and gutters are in good condition. Ensure that your insulation is perfect. Remove any other risks associated with indoor air quality, heating, and trees.